Hey ASU, college students, staff, and all those young at heart…Welcome BACK TO SCHOOL! 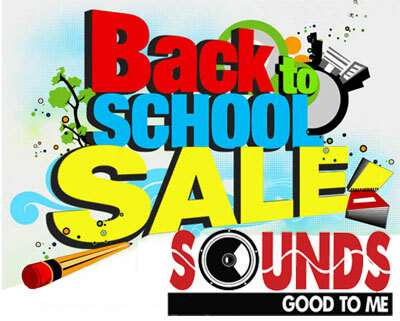 As the dorms reopen and classes begin, Sounds Good to Me is here for YOU with great deals on car audio electronics to welcome you back to campus with during our Back to School Sale! Did you come from afar without a clue how hot it is when the sun shines through your car’s windshield? No problem. Bring your vehicle in and save on window tinting. We’ve got the best prices in Tempe, and additional discounts for college students with a valid student ID. We also have great deals on auto security/remote start, cause ya never know what co-ed might like what you’ve got built into your dashboard just a little too much. Keep your car secure while installing the latest in audio electronics, on sale during our back to school special. How about if we allow you to control your car off of your smart phone, like starting it, unlocking it, locking it and all from your phone! And now in stock the new Alpine AM-FM DVD Player, that’s IPod ready, droid ready, will stream music wirelessly, with or without navigation.. So come in any time, show your college I.D. for special savings and discounts on car audio electronics, and let Sounds Good To Me in Tempe, near Phoenix, AZ upgrade your car, vehicle or boat and get the sound you deserve, same day install always available. WE MATCH INTERNET DEALS,must be a authorized dealer and if it isn’t give us a try and we’ll try and match it anyway. Additional discounts available for students, specials change weekly, check back here weekly or call us for details.